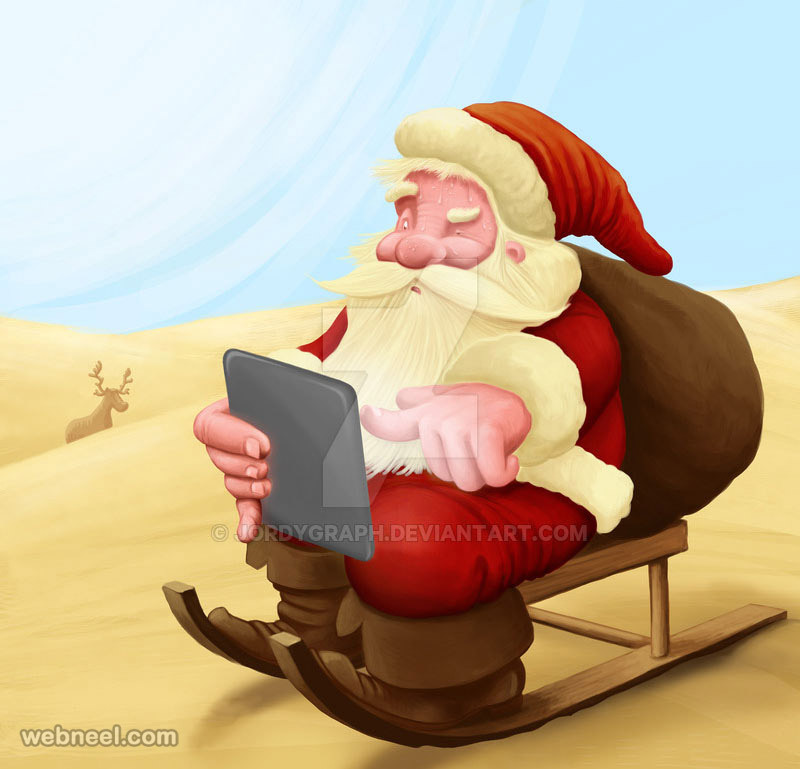 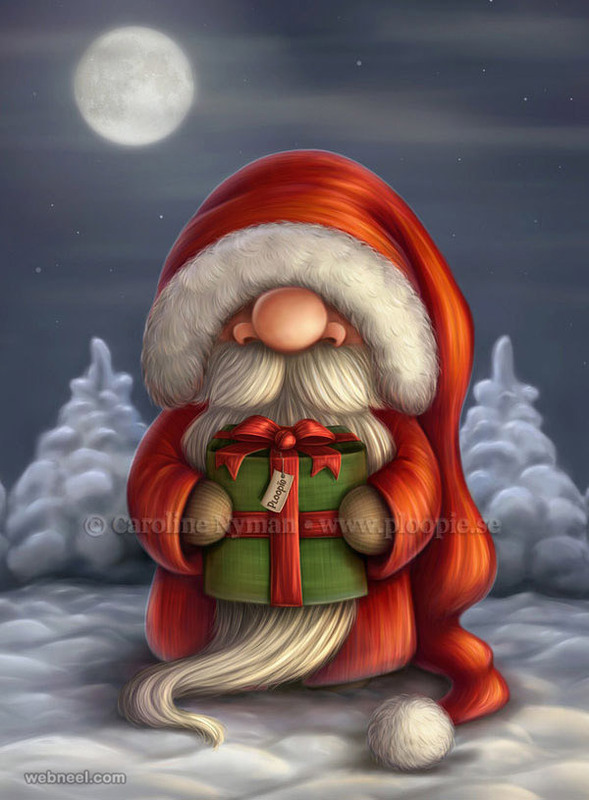 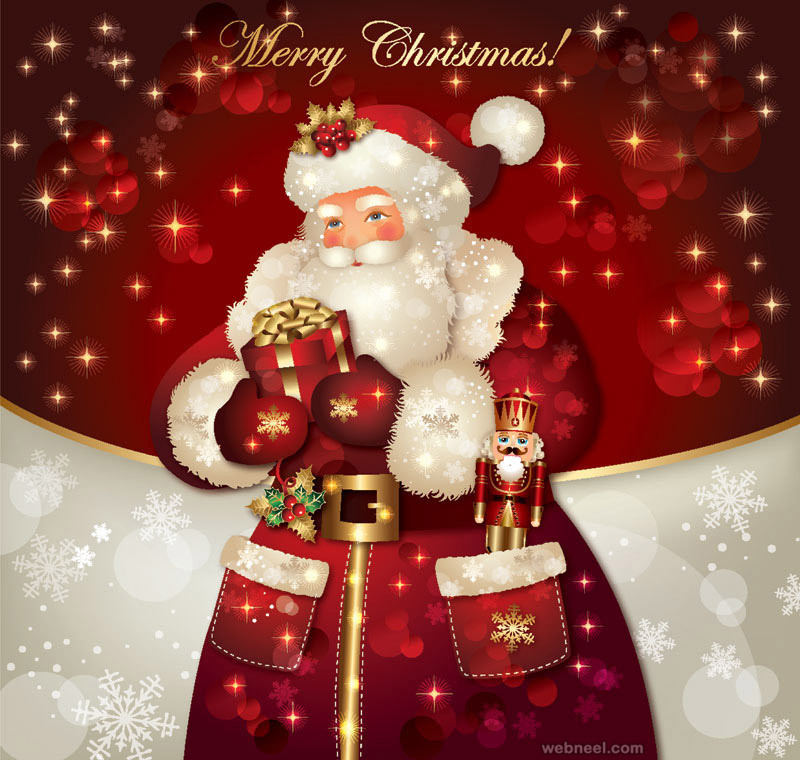 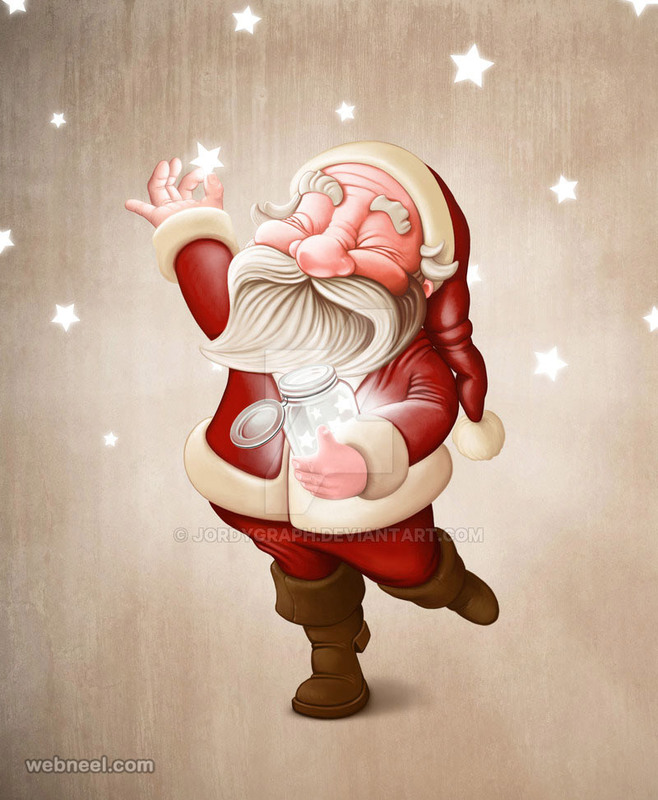 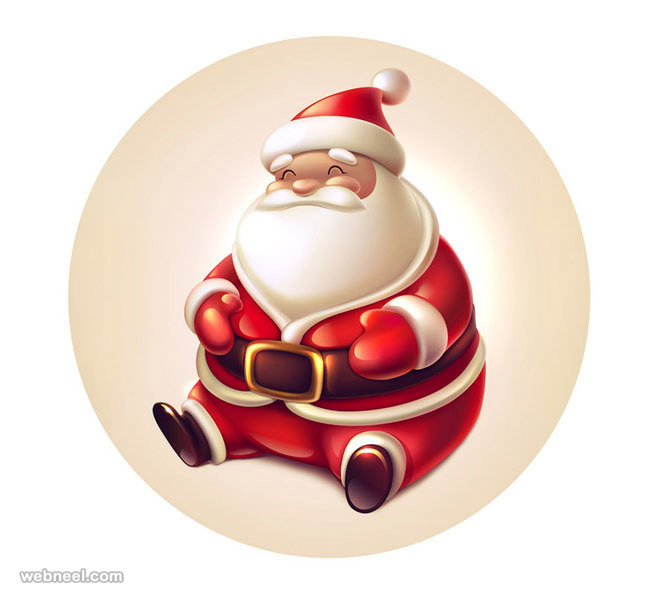 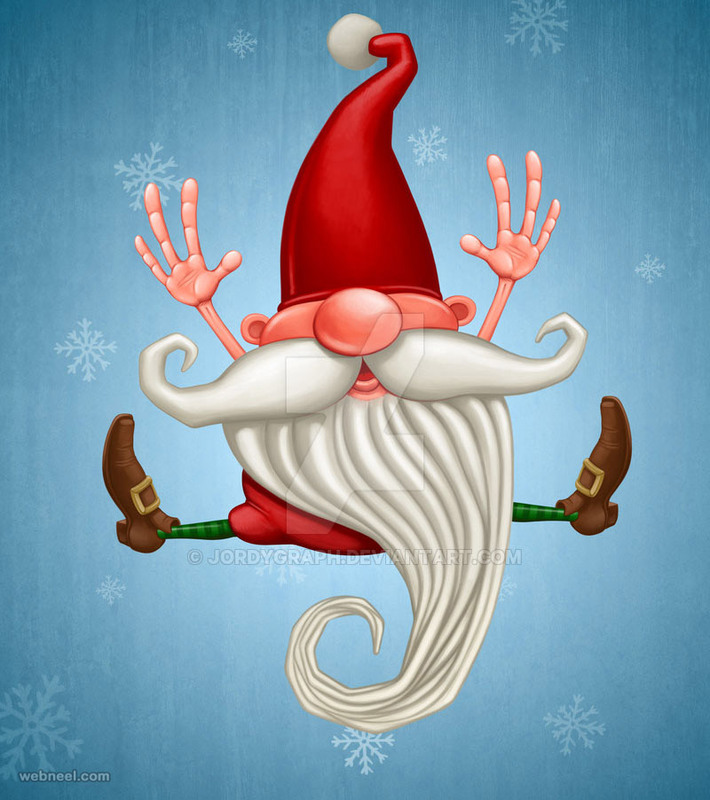 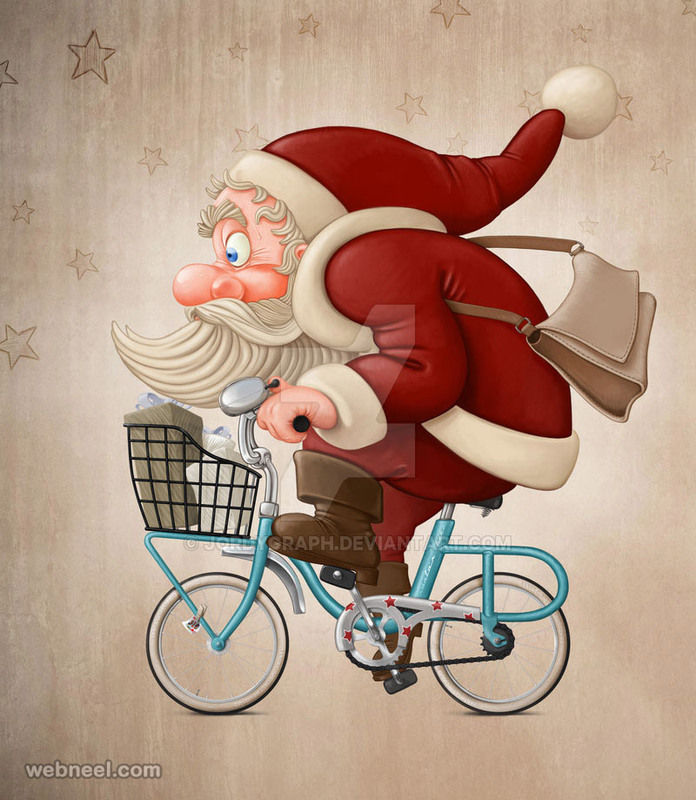 Funny Santa Claus Pictures : Christmas is a jolly holiday season and we do love Father Christmas who is known as Santa Claus. 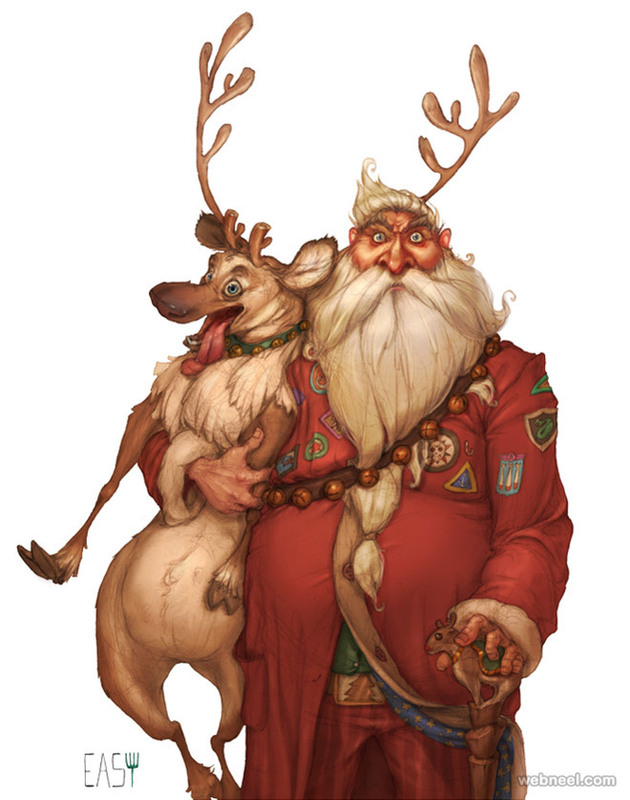 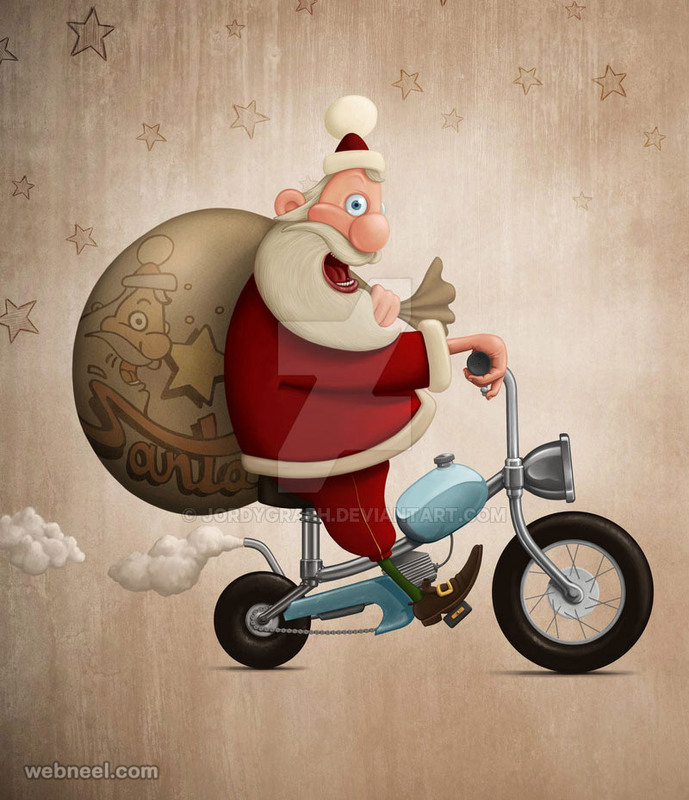 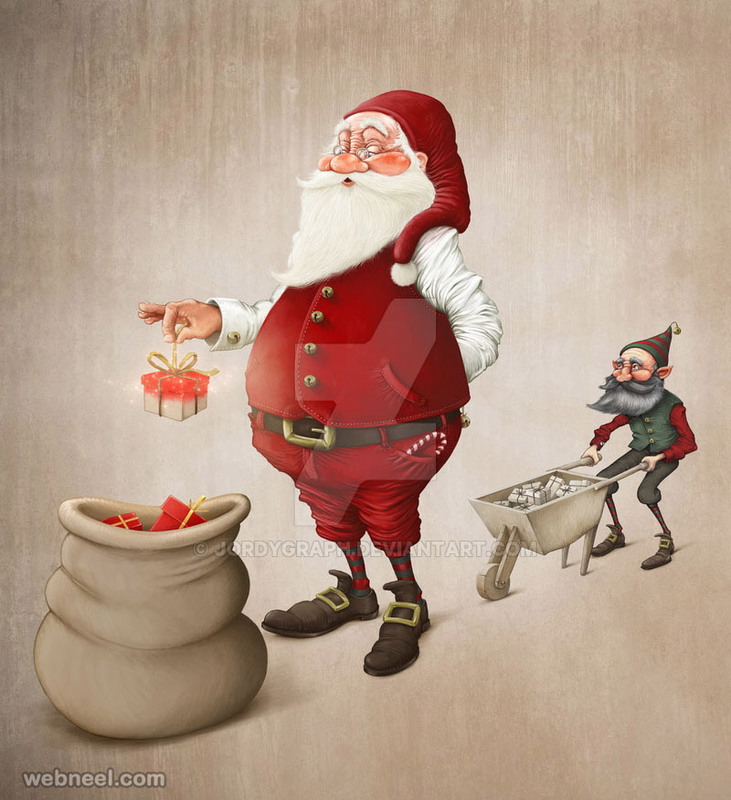 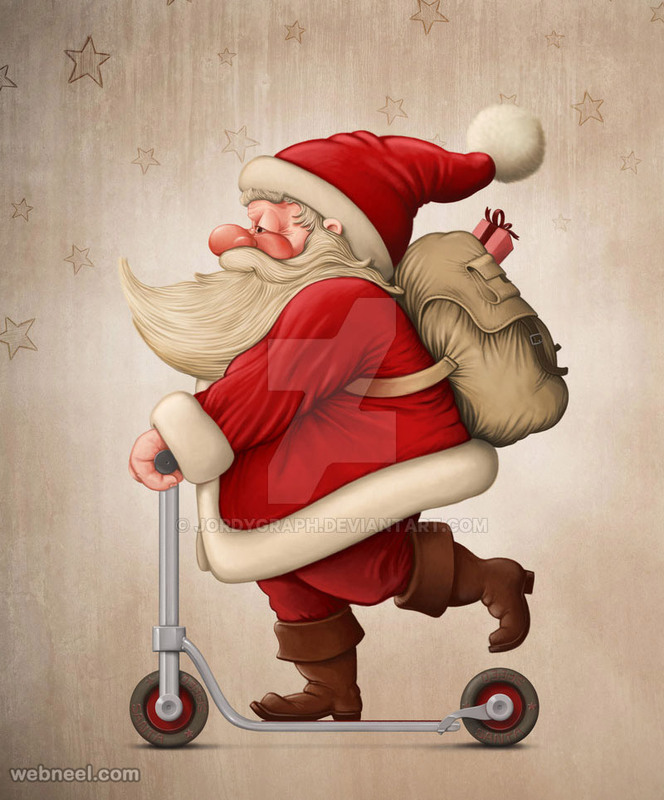 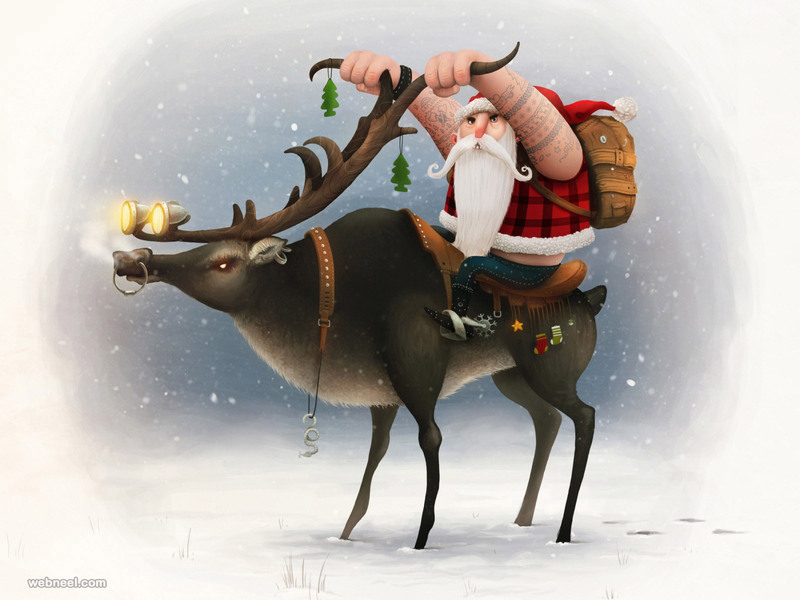 Santa claus is known to ride his reindeer sledge and bring gifts to kids in large red sack. 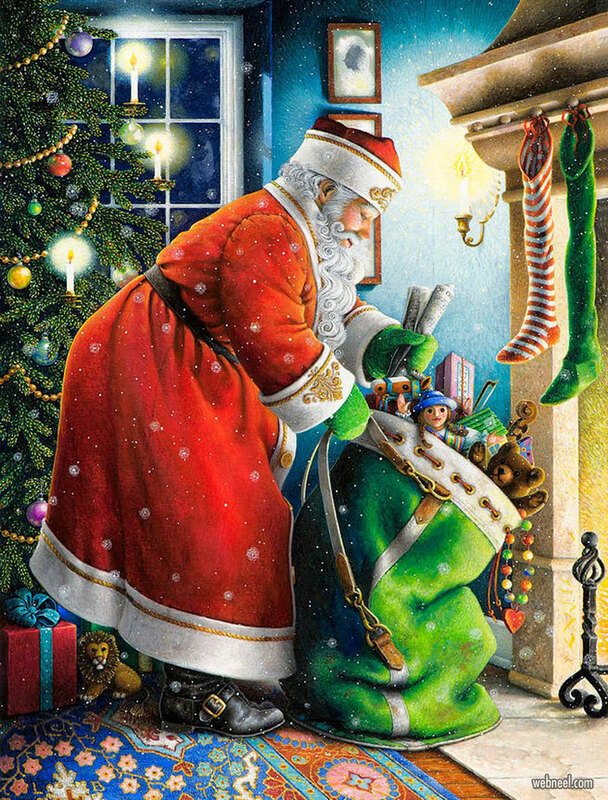 Families keep a drink and treat for santa claus at night before christmas, so he doesn't feel tired while travelling to places. 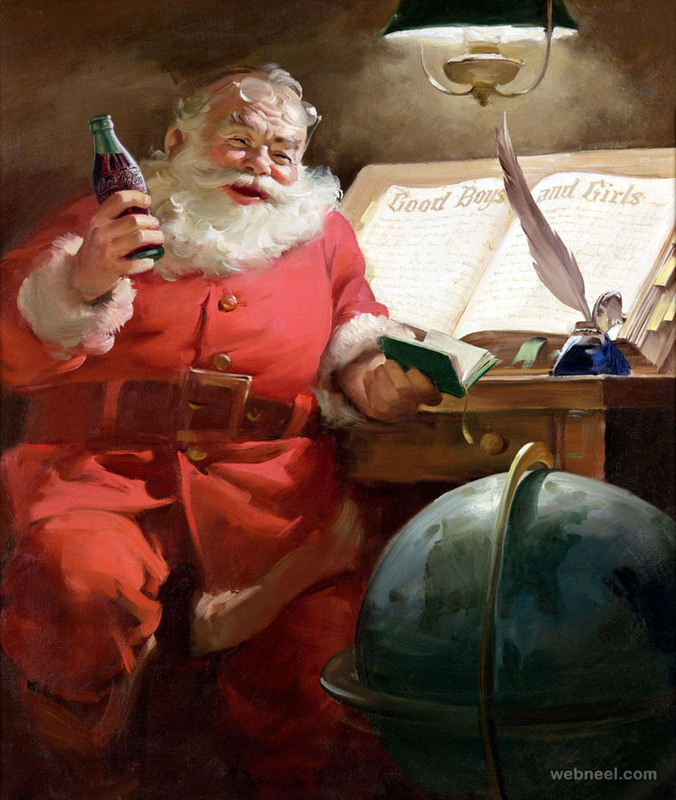 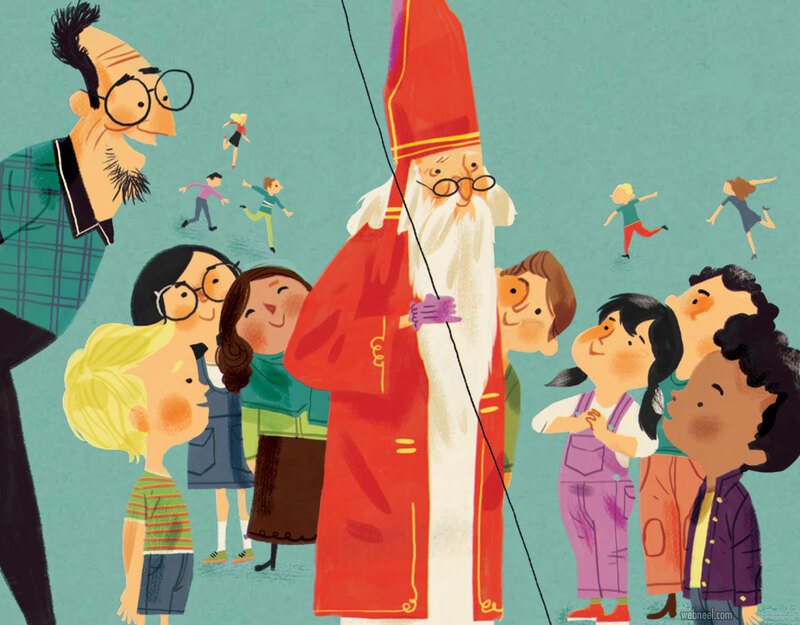 Different cultures and customs have their own stories of father christmas and i'm sure it's fun to read about them. 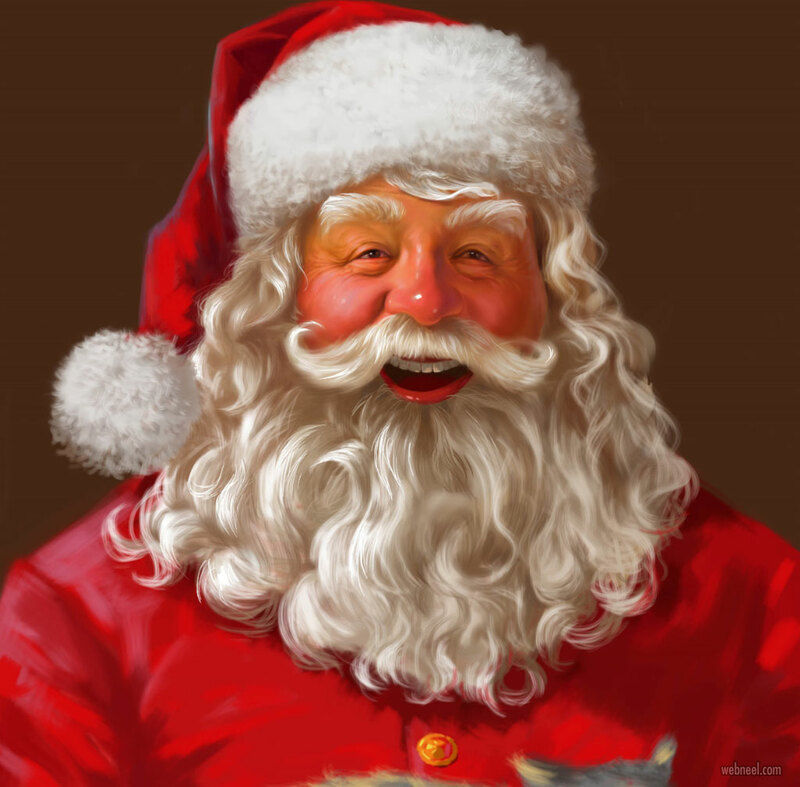 Children put up santa pictures in their cupboards and closet, they write a list of things they want and send it to north pole. 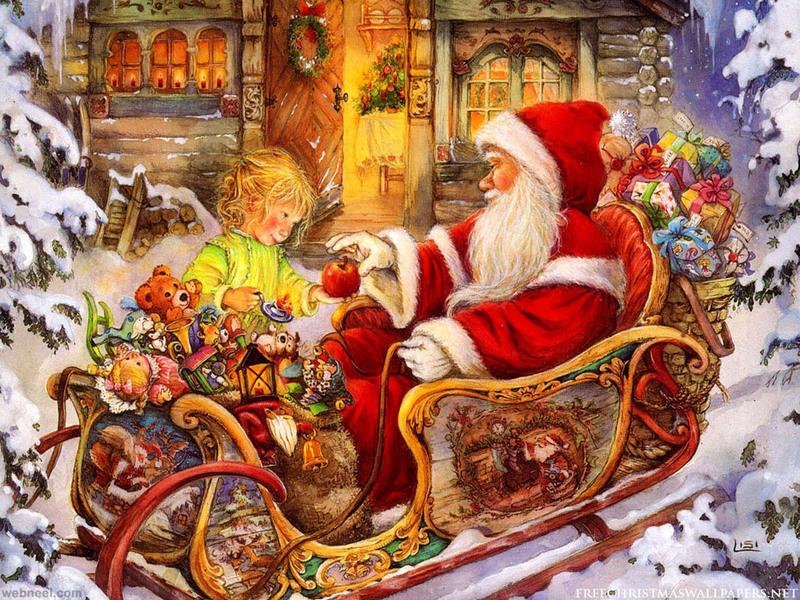 It's a common belief that Santa Claus has a good and naught list of children, so if your name is in the naught list, you don't get a gift. 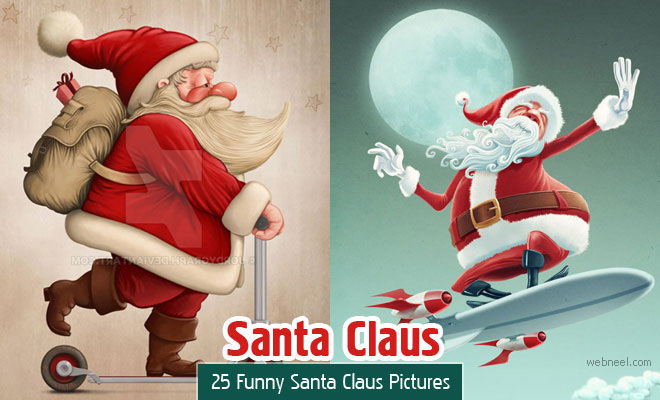 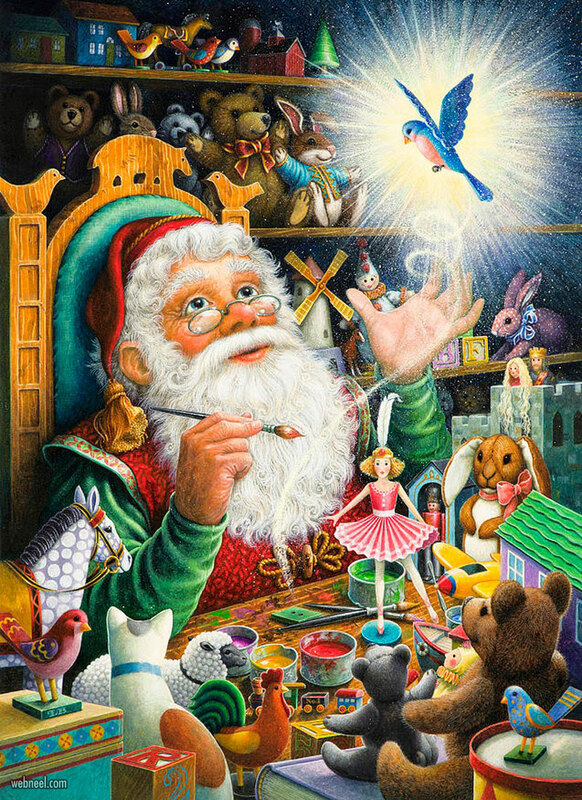 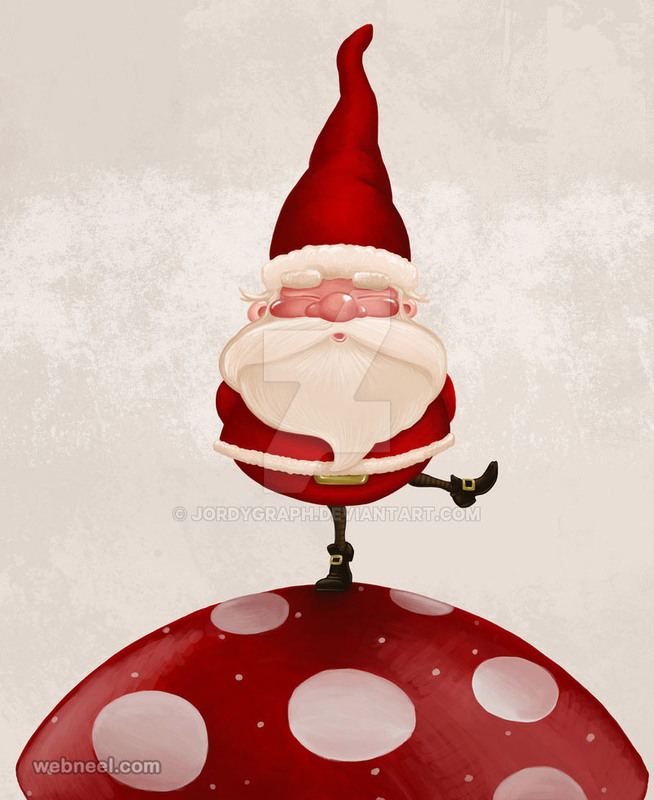 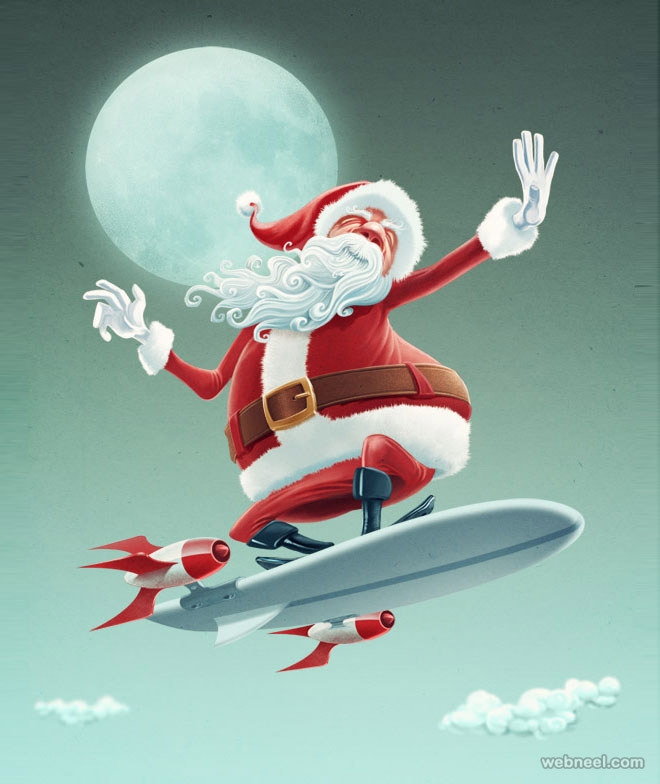 Everybody loves christmas and so do our artists, just look at the funny santa claus pictures and you will know what we are talking about. 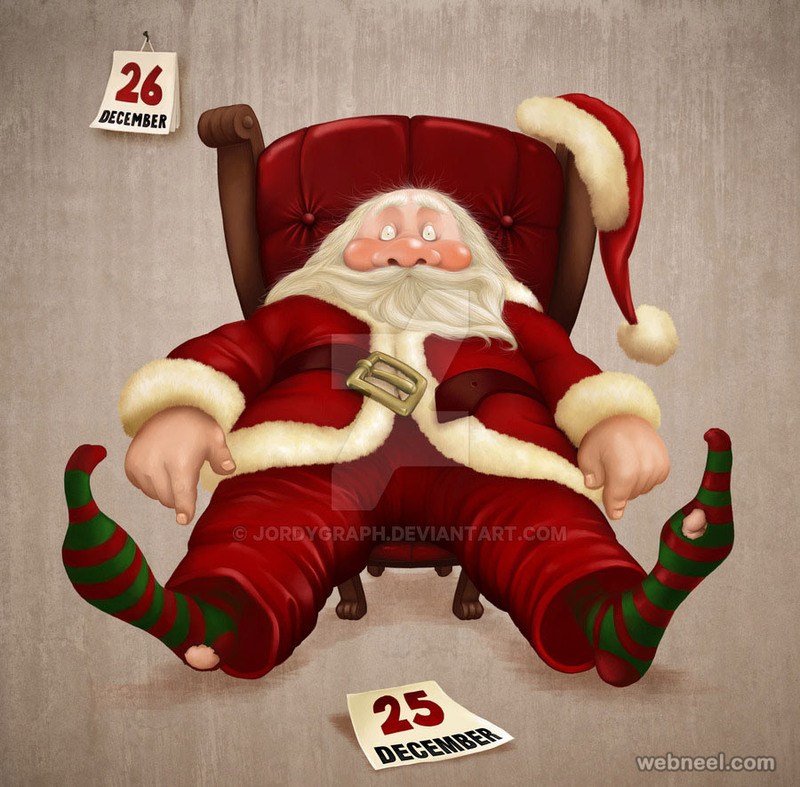 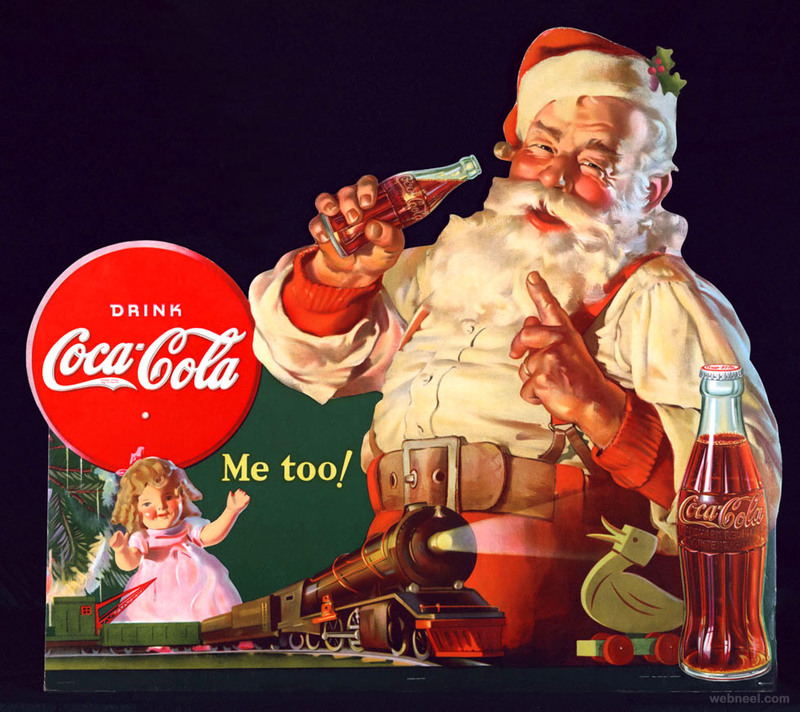 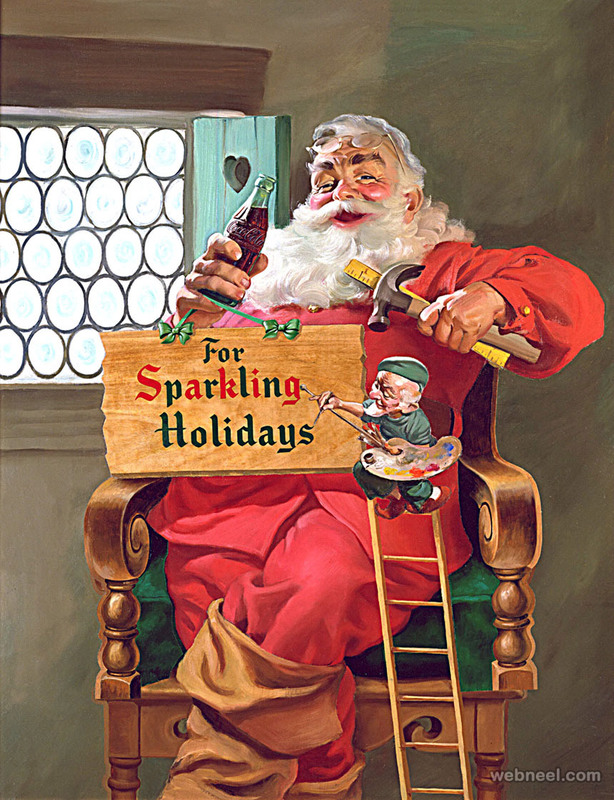 These santa pictures are so light hearted and you can see father christmas relaxing like never before.